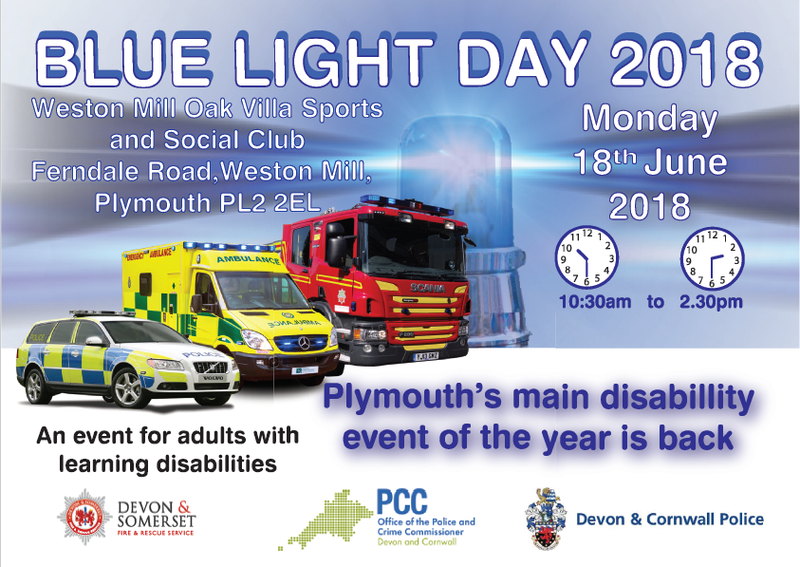 Devon & Cornwall police have invited us to demonstrate our "Stop Bullying" and "Internet Safety" shadow puppets at their Devon Blue Light Day, at Westpoint showground. You are welcome to come and play with the puppets, we would love to see you. Entry is free to the event, which promotes services to help Devon's disabled community and their carers, to be active, safe and healthy. We should be in the beautiful log cabin, which has ground floor access. BSL interpreters available. Wednesday 15th August 10am to 2.30pm. Adults with learning disabilities at Stairways in Ivybridge, Devon, created their own puppets and wrote this exciting story about the adventures of a lamb who fell off a cliff. During the workshop they developed skills in design, dexterity, imagination and teamwork. When I played background classical music for their performance, a beautiful atmosphere of calm enchantment came over us all. 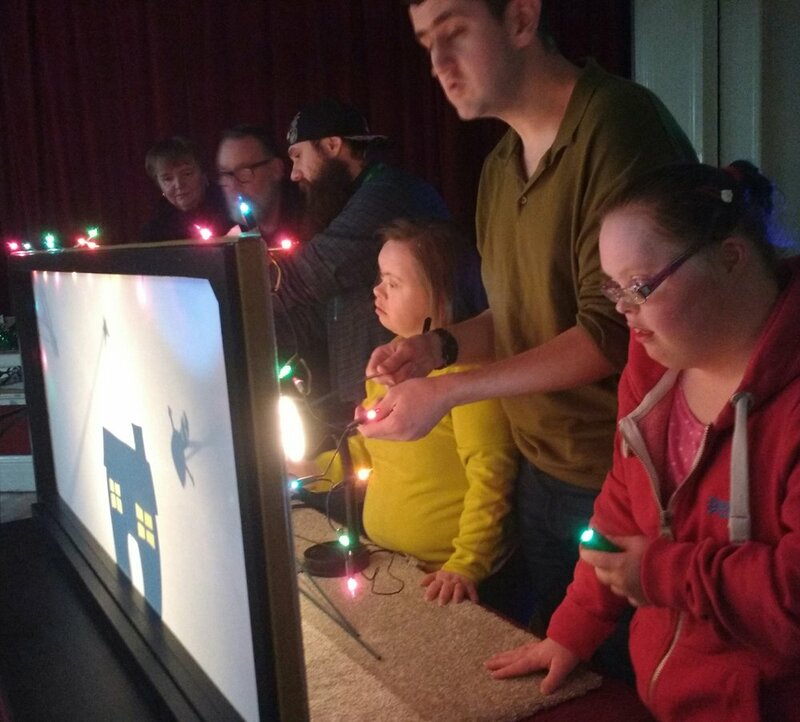 We have been delivering a series of festive workshops for the lovely Animate Theatre, in Plymouth, who provide drama experiences for people with a variety of disabilities. 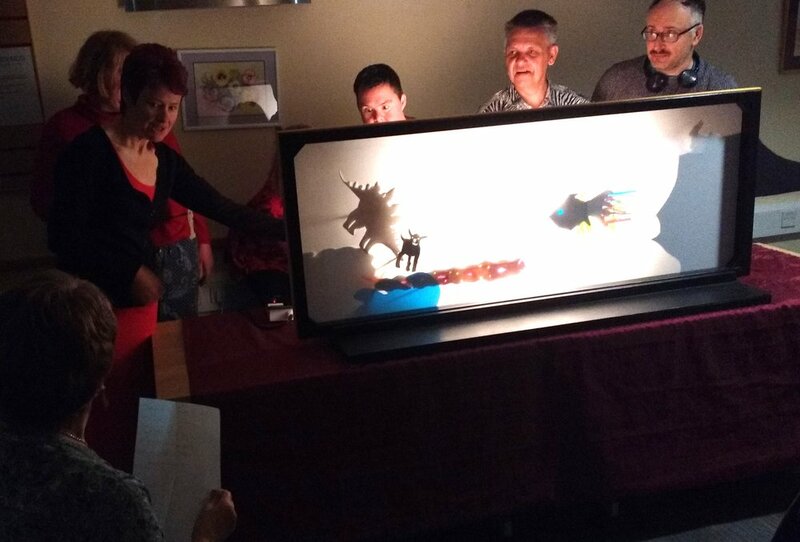 Over 5 sessions participants: experimented with puppetry skills like how to express emotions, wrote original Christmas themed scripts, played with lighting effects and music, made their own wonderful puppets, props and scenery. At the 6th session the air was buzzing, everyone had a part to play, as the Animate Theatre Company performed their four festive stories, to a delighted audience of friends and families. "Identified the SU's needs and delivered well"
"A workshop that provides socialising, cognitive, manual skills etc with an outstanding finale in the show"
"We smiled from start to finish"
"Makes me feel better with meeting all people"
"Stop Bullying" Trial at Your Way, Plymouth. On 15th June our second trial was at the "Your Way" Studio for adults with special educational needs. We only had half a day, so this time participants chose their puppets from a selection that Light Bulb Fantastic provided. Following a discussion, small groups devised their own scenes, adding their personal insights, feelings and even humour. The students having a free rein allowed their teachers and me to observe and challenge any misconceptions, for example clarifying the difference between an argument and bullying. Every student was included, differentiated support being provided as needed, for example using narration to prompt action during performances on the screen. Sarah, Your Way support worker, said "Nice to act it out, instead of sitting listening to someone just talk about it"
Alison, Your Way project coordinator, said she learnt "People who become bullies are victims themselves and have their own issues"
Bullying is a huge problem for many people with learning difficulties, so on 19th May, Light Bulb Fantastic's first trial of our anti-bullying workshop was at Oakwood College for special needs. I was impressed at how openly the students shared their difficult experiences, of being a bully as well as being bullied. During the day the teenagers made their own puppets, wrote, rehearsed and performed powerful scenes illustrating different aspects of bullying, its causes and solutions. Jenny, their teacher, said it was "Informative, fun, entertaining and interesting, especially watching the students using their skills and becoming more confident throughout the day"